XTV 121000 is a general battery up to 12 years expected life in standby service or more than 260 cycles at 100% discharge in cycle service. XTV has a wider operating temperature range, which makes them more suitable for the systems in harsh conditions. 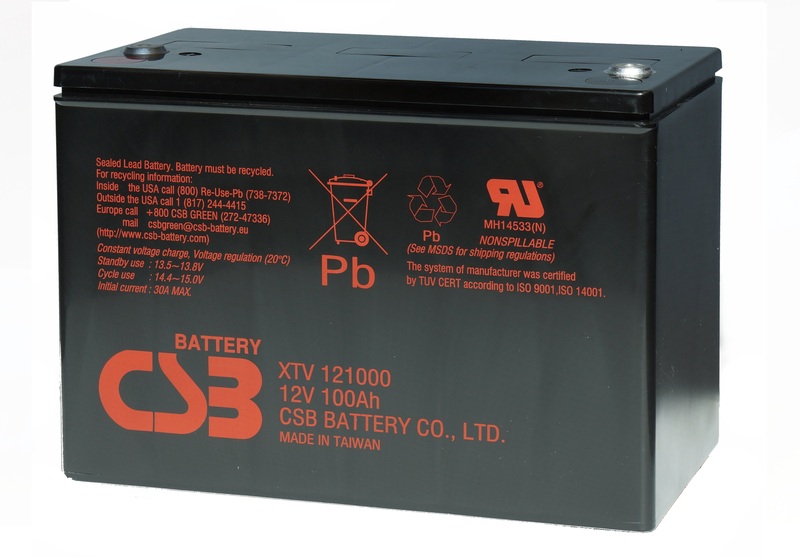 Self Discharge CSB Batteries can be stored for more than 6 months at 25°C(77°F). Please charge batteries before using. For higher temperatures the time interval will be shorter.